This was a good balance of science and holistic approach to health and health care. The sharing of experiences and learning from each other was very valuable. I started out as a skeptic, but ended up learning a lot about myself. Thank you! It is a well articulated blend of scientific facts and information as well as the spiritual consciousness and intention behind the behavioral teachings. Dr. K and Tom balanced both of each others teachings very well. Your teaching was full and broad yet clear and concise. The gathering of people was a comfortable forum for sharing and learning. Thanks to you both for a great gift of real care! I felt we were always talking about profoundly important things in a profoundly kind and generous spirit. The medium was the message – the sessions themselves were meditative, calm, safe, supportive and nonjudgmental. The printed material was so thoughtful – both oral and written and the meditations. I learned a tremendous amount from the group and from Kirana’s and Tom’s spontaneous ideas. Fabulous! I wish the series lasted longer. My husband noted that our household has been more harmonious since I participated. My son and I now enjoy making our gratitude lists together at bedtime. I especially liked talking, learning and thinking about ways to ‘think about thinking’ and overcome mental habits that aren’t helpful. I also liked learning factual knowledge about stress physiology and nutrition. The written information will be a helpful resource. Thank you for giving your time to this! I have friends who will love it! I loved the structure and the content of the sessions. The two of you really hit upon many key components that if explored and practiced, can lead to a very fulfilling life experience. I really got in touch with myself and realized that relaxation is attainable. I learned that there are many methods to achieve relaxation/harmony and look forward to establishing good patterns. It was a great experience. As soon as I walked into the room I felt safe. I felt like people in the room ‘got it.’ I felt oneness with myself. This experience was very spiritual. I loved it. The Mind-Body Awareness and Stress Reduction workshop made me aware of ways to incorporate healthier behavior into my lifestyle. Exposure to tai chi and yoga, as well as meditation, and a gathering helped me to adopt new coping strategies in a supportive environment. And increased sense of well-being has contributed to my motivation to continue the practice of yoga or tai chi. As a person who has resisted exercise this is a significant change in my approach to physical activity. Meditation has become a cornerstone of my quest for a more balanced life. I believe I have more tools to control my responses to stressful situations, and a more relaxed view of my role in life. Strangely enough, I feel that by worrying less, I have more control of my environment, as I feel that I am a more positive human being, and I attract a more positive response from the world around me. The Mind-Body Awareness program has introduced me to a holistic approach of living in a natural, easy-to-follow way. I am learning to de-stress and detach myself from unhealthy patterns of coping (or not coping) at work and in the home environment. Instead of reacting, I can now choose to respond to stressful situations in a more self-responsible and self-aware manner. Relaxation techniques, meditation and detoxifying myself of unnecessary trigger foods has been a big help. The sharing of ideas and feedback from group members has provided a support system which I think is imperative to personal growth. 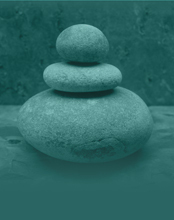 Simply put – The Stress Reduction through Mind Body Awareness group is a powerful experiential and practical group experience, particularly in helping each of us understand the role and impact that stress plays in our lives both physically and emotionally. Through their extremely gentle, respectful and caring approach, Dr. Kefalos and her co-facilitator, Tom Drillot, helped each of us through our journey of self-discovery and ‘healing,’ however we defined that for ourselves. A primary focus of the group was on learning to nurture and love ourselves as we do for so many others. The weekly meditations, yoga and tai chi instruction were instrumental in creating a wonderful tone and foundation for the group. Kirana and Tom created a safe, accepting and open environment for group participants to share and grow. Personally, I felt valued, important and cared about as an individual in the group. The ongoing support and connection with other group members was also invaluable. The ability to empower one another is extremely healing. In short, the group experience enriched my life and provided me with wonderful ‘tools’ and resources (internal and external) to help me create a more harmonious, healthy, balanced and stress-free lifestyle. When I attended my first session of the Mind-Body Awareness program I became more aware of the importance of self-care and that I have the ability to choose, every day, how to manage the care I give to myself. With meditation, I am now able to find a quiet space that is already within the period this quietness sets the tone of peace without fear to my days into my nights. I no longer feel that it is necessary for me to think about so many areas of my life all at one time and that it is better to remain anchored to the present moment. Choosing to give my presents the concentration and attention it deserves. And at the same time I can choose to go into my quiet space with the spirit of peace dwells. Attending the Mind-Body Awareness group sessions is one of the most important decisions I have made in my life, for my life. I will always remember the information that was shared by Dr. Kefalos and by the members of the group. I believe that it is no accident that I am part of this all inspiring, peaceful, and spiritual program. I am so thankful for this opportunity to be part of this group and to share this testimony. I truly believe that we are spiritual beings going through a human experience. And I choose to live my human experience with an open mind and the will to continue to learn. These sessions have reinforced my thoughts about giving up my night job of 20 years and do fun things for myself including yoga, tai chi and meditation. I loved the sharing. It’s good to know that I am not the only one who needs to learn stress reduction. I never gave a lot of thought to the mind-body connection but now I realize how the mind really affects the body. Dr. K and Tom – what a wonderful team! Thank you for sharing your enthusiasm and knowledge with us. I really love the structure and paradoxically the balance of less structure – the yoga, tai chi or movement at the beginning followed by wonderful meditation then lecture and discussion ending with meditation. Kirana and Tom were awesome leaders – affirming, quite forthright in sharing themselves, set up a great group dynamic, imparted much good information. They set up a safe, nonjudgmental group situation in which people felt free to share. I really incorporated so many elements/tips into my life and will continue to work on doing more (breathing, mindfulness, more exercise, stress management tips). In this society, sometimes it seems that being authentic is not valued/ respected. This group and the leaders validated how important the authentic self is, in terms of mind and body. The mind body connection was shown and demonstrated in so many ways. A wonderful experience! What I liked most about these gatherings – The relaxed state I felt when I left; not feeling alone in my anxiety; the connection I felt with the other people in the group.